The 2020 Volvo XC90 has been announced, but it is not yet available for purchase. 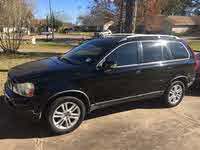 Start a new Volvo XC90 question. I Submitted My Car To Sell Last Night And I Still Do Not See It Online? 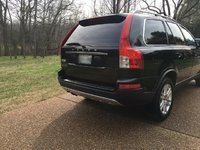 My 2005 volvo XC90 pulls to the left when i press the brakes ?? I have no real power when i press tje gas ?? It fells like it's struggling to accelerate ?? We purchased a car from Dinsdale Motors and would like to leave a review. Why can we not do a review on the CarGurus web page? Let's be honest: A station wagon is a station wagon, no matter how it's equipped. Sure, Volvo's V70 wagons were versatile, stylish, and decked-out enough to be cool, but they didn't offer much road clearance. Height sets an SUV apart from a car. 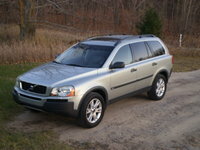 The XC90 had its beginnings in the V70's Cross Country. The Cross Country was introduced as a trim of the 2001 V70, but it proved to have a life of its own and became a separate model in 2002. 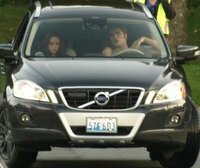 In 2003 it became the XC. The wagon-style XC continues to thrive as the XC70, but Ford-owned Volvo clearly saw the need for a true SUV. 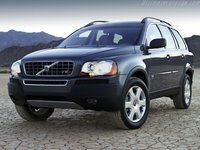 Thus the taller XC90 began its life in 2003 as Volvo's very first true SUV. It was intended to compete with the BMW X5 and Mercedes ML-Class, but it did more than that. The vehicle took the market by storm and became the top-selling European SUV in North America (yes, it 's very popular in Canada, too). Well-to-do families pair naturally with the XC90, as it offers the perfect blend of safety standards, exquisite ride and handling, luxury features, and class. It is also darned comfortable, making it great for long road trips. Many European motoring journalists consider the XC90 the best 4x4 by far. While some argue it doesn't look as stylish as a BMW X5 or have the same presence as a Range Rover, the Volvo beats them all when it comes to practicality, ride comfort, and performance. It offers a choice of four engines, ranging from the economical 2.4-liter five-cylinder diesel that returns 31 mpg to the top-of-the-range 4.4-liter V8, which develops 310 hp and a top speed of 130 mph. All trims come equipped with the best fold-away seven-seat setup on the market. The XC90 provides plenty of space between the rear window and the back of the heads of the rear passengers and plenty of legroom, too. The XC90 is easier to get out and put away than any other seven-seat 4x4, and the cabin offers more storage space than the Mercedes ML-Class or BMW X5.